Review of the Razer Nari Wired/Wireless Gaming Headset. After using the Nari headset for quite a bit in different scenarios such as gaming, listening to music but also watching TV shows and movies, we can really say that the large 50mm drivers really pack a punch and should please the majority of gamers, mainstream computer or laptop users. 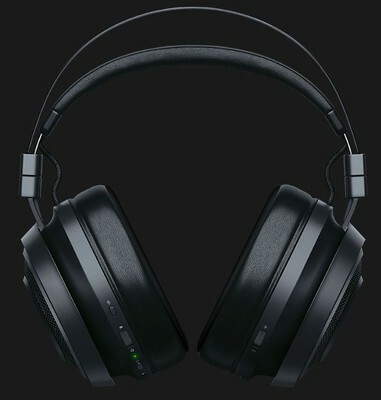 The surround feature of Razer headsets was great and now with the added THX it is even better and easy customizable via Synapse software. This is easy one of the most comfortable headsets we have tried so far and the gel-infused cushions are not a marketing gimmick: the headset can be easily used for long periods of time, doing the activities you enjoy.